I had a desire today to bake something special, not only for my Birthday but for everyone who is celebrating Birthday in July. This is an easily prepared dessert with a sophisticated taste. Warm poached pears coated in a rich red wine sauce on a top of chocolate heaven – who could resist? Happy Birthday, Dear Friends, I wish you all very sweet year! To make poached pears: Combine wine, honey, sugar lemon zest, cinnamon stick, and anise star, and bring to a boil. When the wine mixture is boiling, turn heat down to a simmer and add the pears. Simmer pears for 25-30 minutes until they are tender and are easily poked through with a fork. Remove pears and let them cool. Boil wine sauce until the liquid has been reduced by half. To make a cake: Preheat the oven to 325°F. Butter an 9-inch pan with 2-inch sides. Place the chocolate in a heatproof bowl and set over but not touching barely simmering water in a saucepan. Heat, stirring, until the chocolate melts, about 2 minutes. Add the butter and continue to stir until the butter melts and is incorporated. Let it cool. In a bowl, sift together the almond flour and potato starch. Set aside. In a large bowl, combine the egg yolks and sugar. 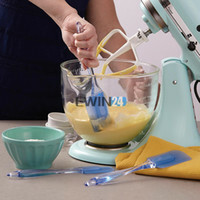 Using an electric mixer set on medium speed, beat until creamy, 3 to 4 minutes. Fold in the starch mixture and then the chocolate mixture until blended. In a clean grease-free bowl, using an electric mixer beat the egg whites slowly until they are frothy. Increase the speed, and continue beating until the whites are stiff and glossy. Stir one-fourth of the whites into the batter, then fold in the remaining whites just until incorporated. Pour the batter into the prepared pan and level the top. Bake until the top is risen and crusty and a toothpick inserted into the center comes out almost clean, 30 to 35 minutes. Transfer the pan to a wire rack and let cool for 10 to 15 minutes. To serve, top the cake with the poached pears and red wine sauce. Poached pears in red wine and chocolate cake. I've had poached pears at a restaurant but never attempted to make one at home. I always admire how lovely they look. The wine makes the pear mysterious yet beautiful rich color…lovely photos as always Yelena! Thank you Nami! It is very simple to make, if you have any question, please, I am here-)) You can add any spices you like! Oh thank you so the part of this cake is for me too! Awesome cake and the pears look just divine! Stunning pictures! Like that you put poached pears on top of the cake. Beautiful photos and what an elegant, stunning cake!! I only wish I was born in July. Lol. I'm a June baby. This is such a delightful treat to have to celebrate a wonderful year that went by and the next one to come. You never fail to impress us with your unique features and amazing photos. Normally we'd never put a shameless plug back to us, but we just launched our new site and we would love for you to be a part of it. We'd be honored to have your submissions. We are moving to a new domain http://www.yumgoggle.com, (previously myfudo.com) this has been a project we have been working on for almost a year now. We just launched our new gallery submission site, and we are just thrilled. Unique and interesting bloggers like you will make the Yumgoggle gallery more fun and exciting. We normally would not be posting links to our comments, but we are just thrilled with this new launch, we can't wait to share with you.